People are being urged to lock up properly after a spate of village burglaries. Beds Police is advising those living in rural areas to check outbuildings and ensure the appropriate security measures are in place. Those who have CCTV cameras are being encouraged to check them. People are also being asked to any report crimes that have taken place, such as shed break-ins, and report any suspicious behaviour. 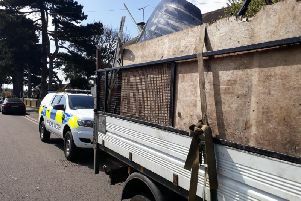 PCSO Paul Jones said: “We have received several reports of shed break-ins in Podington, and we are keen to ensure this doesn’t spread into other rural parts of the county. “It’s vital that residents ensure their property is well secured to stop potential offenders in their tracks. “To help with our enquiries we are also keen to hear from anyone whose shed has been broken in to with information about what may have been taken. PCSO Jones can be contacted via the non-emergency number 101 or call crimestoppers, anonymously, on 0800 555 111.